Inspired by Sicilian charm, Syracuse table linens are a tribute to the Italian way of life. This collection is perfect for lingering over a meal without the worry of mishaps. 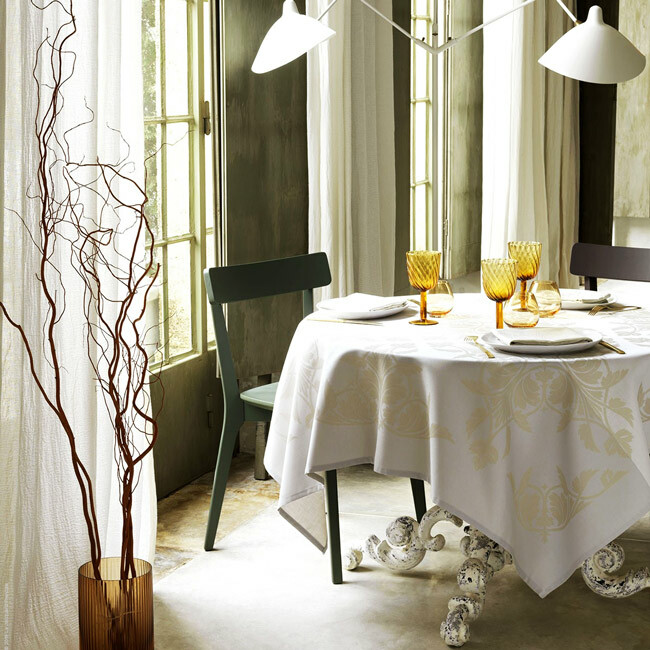 Subtle, streamlined Baroque-inspired, jacquard woven patterns adorn this coated tablecloth collection. Choose from 3 serene colors and numerous sizes.